How can history be made truely immersive? 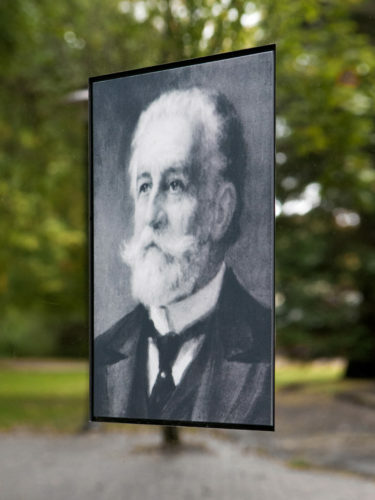 Potsdam’s evangelical Hoffbauer Foundation looks back on 110 turbulent years with an exhibition recalling its work, its people, its values and commitment. 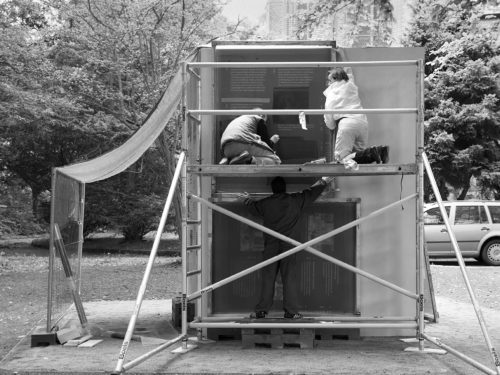 To reach as many people as possible, the exhibtion is installed in public space. 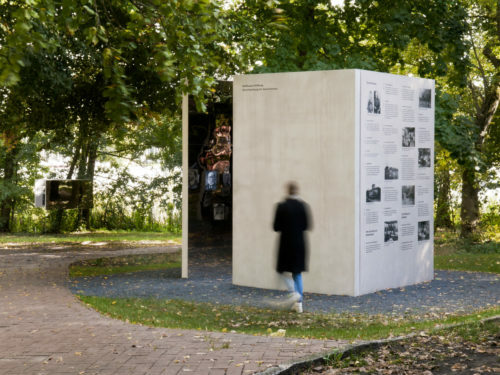 The open grounds, situated on the banks of the picturesque Hermannswerder island, offered ideal conditions for a remarkable, site-specific exhibition concept. 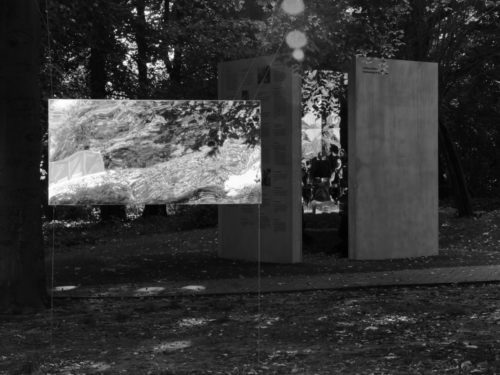 We designed a simple concrete pavilion, accessible via a narrow opening on one side. 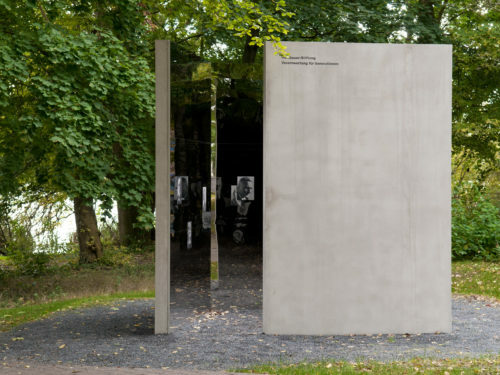 The foundation’s chronology is screen-printed directly onto the exterior wall, and the interior surface clad in mirrored stainless steel. 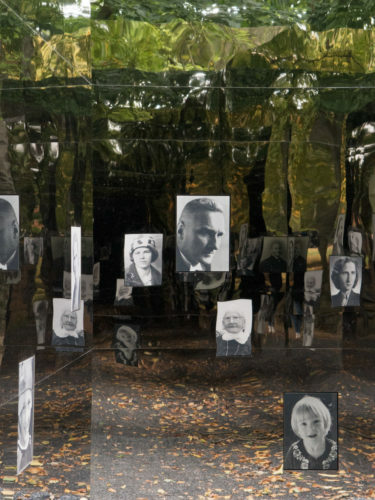 Embedded in the mirror, and surrounded by the reflected foliage of a nearby tree, are the portraits of personalitites who shaped the foundation. 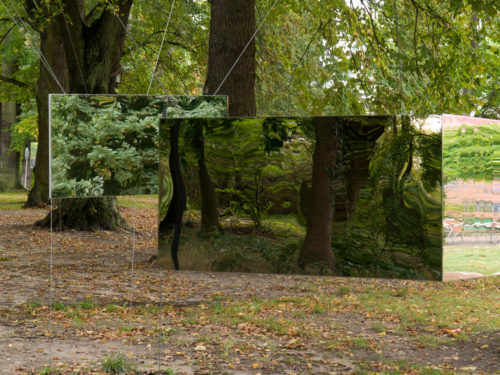 A series of free-hanging triptychs, mirrored on the outside, augment and reflect the concrete installation both thematically and spatially. 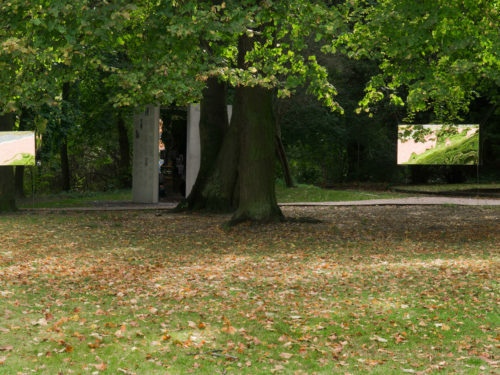 Suspended by steel wires from the branches of beech-trees planted at the time of the foundation’s inception, each functions as material witness to a portion of history. 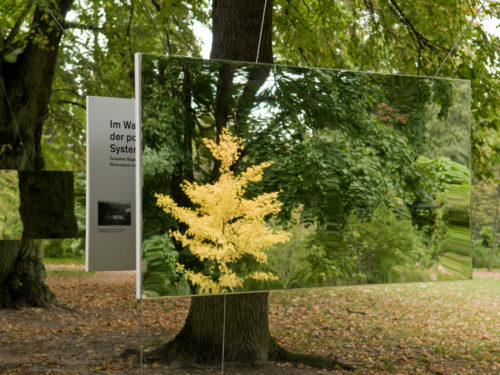 On breezy days, visitors encounter their own reflection rocking gently in the mirrored surfaces. 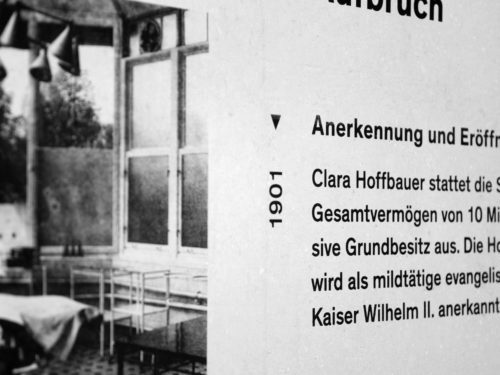 Here, the exhibition transcends its role as conveyor of facts, and becomes a poetic, kinetic sculpture; an invitation to meditate on impermenance and the passage of time. 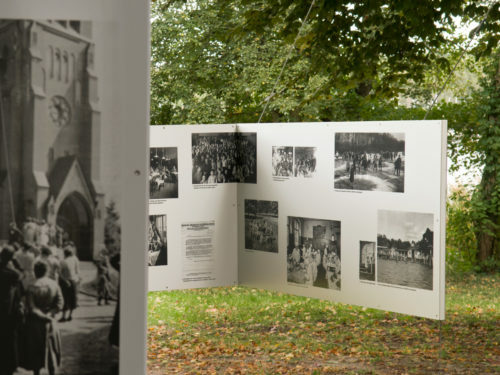 We developed and produced an open-air exhibition for Potsdam’s Hoffbauer Foundation. 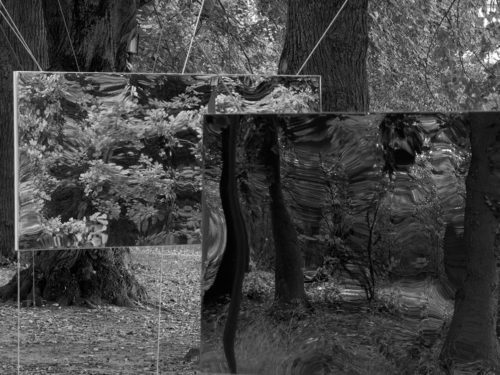 Forward thinking and critical reflection. 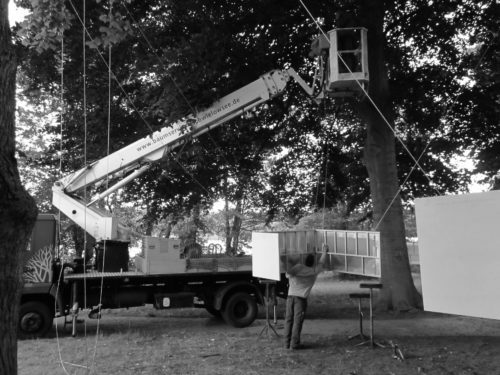 Event branding for the German Architectural Congress.